DeFender Spyder Side Inserts for Jeep Wrangler TJ 1997-2006. Complete your Poison Spyder DeFender installation with these Spyder Side Inserts, which fill the access holes in the side panels of the DeFender. 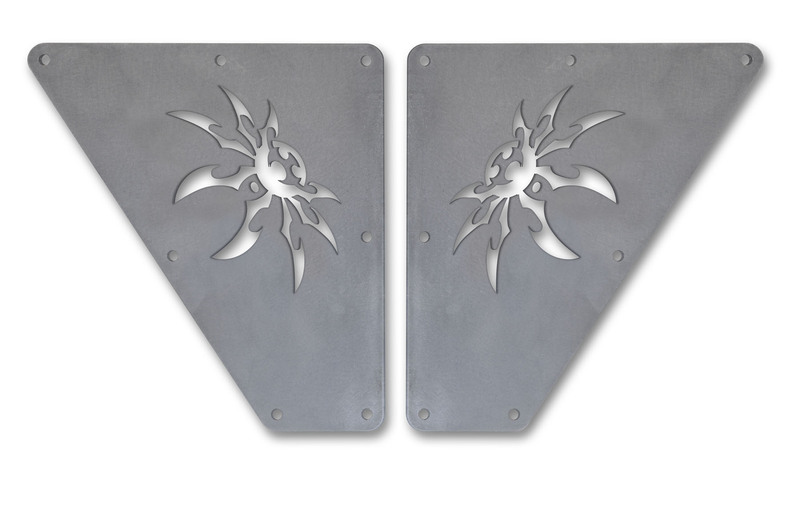 DeFender Spyder Side Inserts are CNC laser cut from 1/8 inch aluminum plate. The Spyder logo cut-out acts as an air vent to promote airflow through the engine bay. If a solid wall is preferred, the Spyder Side Inserts can be stacked with the solid inserts that came with your DeFenders.